1. Walking the Labyrinth, Travis Scholl. Downers Grove: InterVarsity Press, 2014. 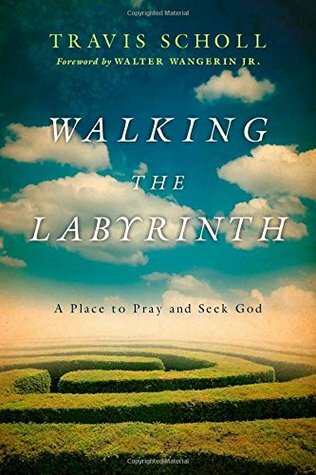 The book consists of a series of reflections over the forty days of Lent intermingling thoughts on the gospel of Mark, life, and the daily walking of a labyrinth in the churchyard of a neighborhood church. 2. At Bertram’s Hotel, Agatha Christie. New York: William Morrow Paperbacks, 2011 (reprint). 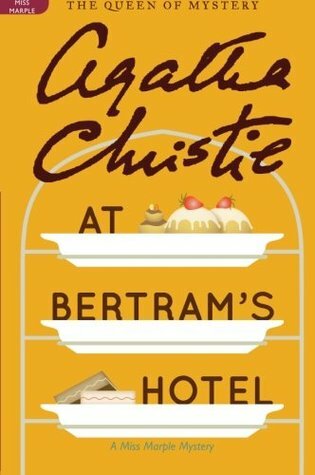 Bertram’s is a quietly elegant hotel from the Edwardian era that seems utterly respectable from the outside and yet is the center of a nefarious crime syndicate and a murder late in the story that Miss Marple and Chief Inspector (Scotland Yard) Davy attempt to unravel. 3. 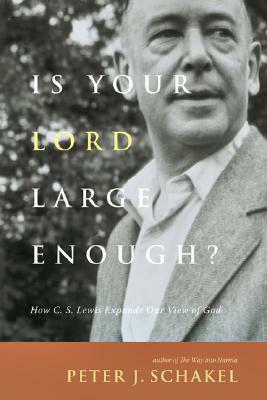 Is Your Lord Large Enough?, Peter J. Schakel. Downers Grove: InterVarsity Press, 2008. This book looks at the contribution Lewis made, particularly through the way his books engage the imagination, to the spiritual formation of Christians, exploring a number of the matters crucial to their growth in Christ. 4. 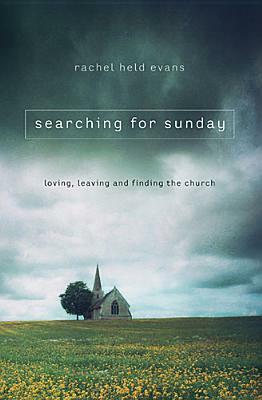 Searching for Sunday, Rachel Held Evans. Nashville: Nelson Books, 2015. As the subtitle suggests, this is a narrative of the author’s struggle between loving and leaving the Church, only to find her loved renewed through the sacramental practices that she sees at the heart of the Church’s life. 5. 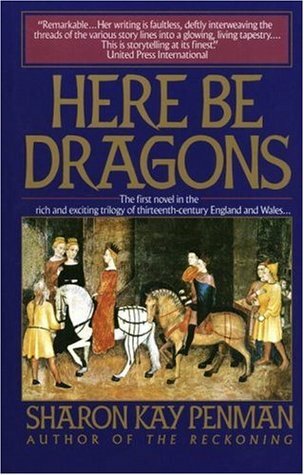 Here Be Dragons, Sharon Kay Penman. New York, Ballantine Books, 1985. The first of the Welsh Princes Trilogy set in the early 13th century, this book explores the conflict between John, the King of England, and Llewelyn, who sought to unify a divided Wales against the English threat. Their lives are intertwined by the daughter of John, Joanna, who becomes the wife of Llewelyn, finding herself torn between loves for father and husband, then husband and son. 6. 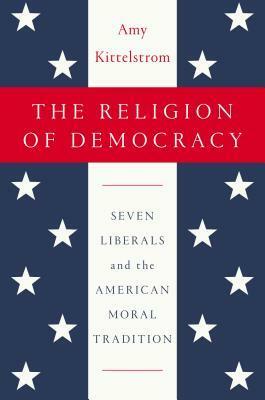 The Religion of Democracy, Amy Kittelstrom. New York: Penguin Press, 2015. This book traces the “American Reformation” of Christianity through the lives of seven key figures spanning the late eighteenth to early twentieth century, in which adherence to creed shifted to the dictates of personal judgment and the focus shifted from eternal salvation to ethical conduct reflecting a quest for moral perfection and social benefit. 7. 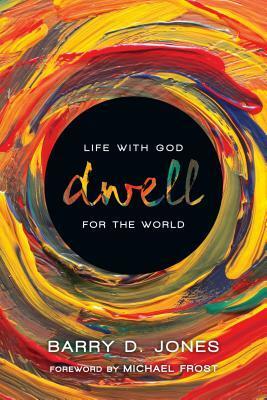 Dwell: Life with God for the World, Barry D. Jones. Downers Grove: InterVarsity Press, 2014. A focus on mission and a focus on spiritual formation are often divorced from one another. This book argues for a missional spirituality rooted in the incarnation of Jesus, his dwelling among us to restore broken shalom that is revealed in spiritual practices that herald the vision of the kingdom that is both present and to come. 8. Why Christian Faith Makes Sense, C. Stephen Evans. Grand Rapids: Baker Academic, 2015. 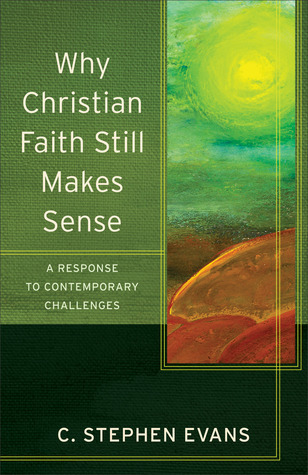 Against the contemporary challenges by the New Atheists, this book explores why the Christian faith makes sense, even though the existence of God may not be proven, through the consideration of both “natural signs” and the self-revelation of God. 9. 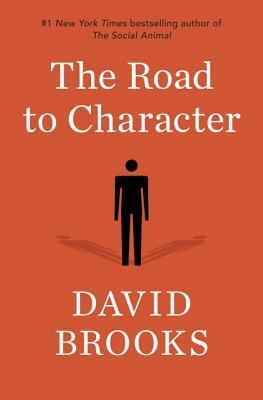 The Road to Character, David Brooks. New York, Random House, 2015. David Brooks explores the issue of character development through the hard-won pursuit of moral virtue, exemplified in the moral quests of people as diverse as Augustine and Bayard Rustin, Frances Perkins and Dorothy Day. Best book of the month: David Brooks The Road to Character is my choice for this month’s best book, both for the quality of writing and for the conversation he attempts to provoke with regard to the moral ecology of our country. “…Sunday morning sneaks up on us — like dawn, like resurrection, like the sun that rises a ribbon at a time. We expect a trumpet and a triumphant entry, but as always, God surprises us by showing up in ordinary things: in bread, in wine, in water, in words, in sickness, in healing, in death, in a manger of hay, in a mother’s womb, in an empty tomb. Church isn’t some community you join or some place you arrive. Church is what happens when someone taps you on the shoulder and whispers in your ear, Pay attention, this is holy ground, God is here.” (p. 258). Today begins a week on jury duty. Needless to say, I’ll have some books in my bag along with other work. One I won’t be carrying because it is a thick book but one I’m thoroughly enjoying is Brenda Wineapple’s Ecstatic Nation, a chronicle of the spirit of the times in ante- and post-bellum America. Strikes me as eerily similar to today. Hope you get some good summer reading in during these last days of summer!